Born in 1900 and a graduate of Princeton, Halliburton’s life might have followed a more conventional path were it not for his insatiable desire for excitement and adventure. Let those who wish have their respectability, I wanted freedom, freedom to indulge in whatever caprice struck my fancy, freedom to search in the farthermost corners of the earth for the beautiful, the joyous and the romantic. 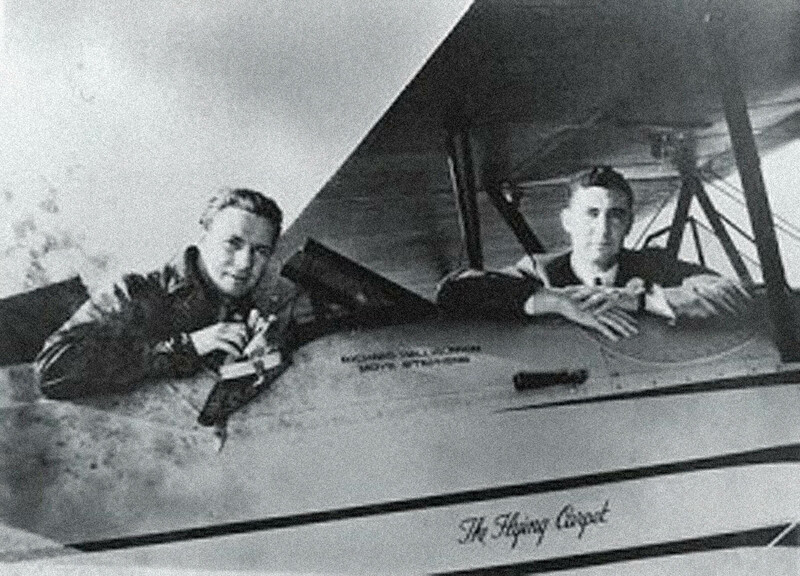 After losing a fortune in the Wall Street Crash of 1929, Halliburton had to scrape the money together for his next adventure, flying around the world in a two seater, open cockpit Stearman biplane which he christened The Flying Carpet and wrote about in the eponymous book. Their trip was daring and pioneering. 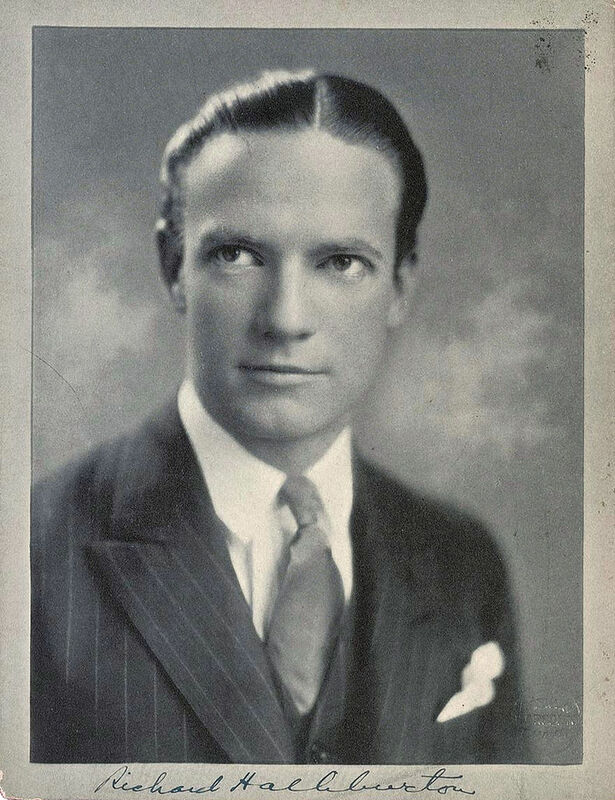 Lindbergh had only made his solo flight across the Atlantic a few years earlier. They had no support. Shell Oil had kindly given them the location of an oil tank in the Sahara at which they could refuel although finding it meant following tyre tracks across the desert. The journey had plenty of romance; they met maharajahs and took princes and princesses up in the Flying Carpet in Iraq and Persia. They met a stranded German aviatrix, Elly Beinhorn who joined them, swapped the Flying Carpet’s wheels for floats in south east Asia and met headhunters in Borneo. 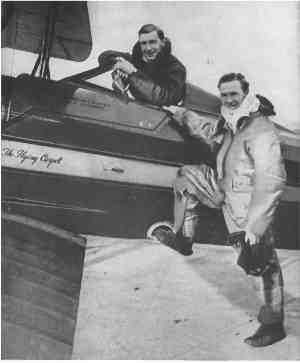 They flew past the Taj Mahal and took the first aerial photos of Mount Everest and gave aerobatic displays on their way round. It is a dizzying journey and Halliburton’s breathless style matches it. By the fourth page they have crossed America, sailed across the Atlantic and have flown south from England across France and Spain to Gibraltar. It is apparent that they landed and visited many more places than are described, places like Rangoon barely registering a mention. It was only four years since Lindbergh had become the first person ever to be in New York one day and in Paris on the next; this was a new way of seeing the old world just before it changed. It is hard not to feel Halliburton’s excitement and be swept along by his enthusiasm. described for me an idea of pure happiness. And of successful volition. You have something in mind. You imagine it. You prepare for it. You voyage toward it. Then you see it. And there is no disappointment; indeed, it may even be more captivating than you imagined. Like many of his youthful heroes, Halliburton died young. He had embarked on another adventure in March 1939, sailing a Chinese junk across the Pacific Ocean. He went missing and was pronounced dead in October of that year. Although not written in a literary style, Tahir Shah points out in his foreword that “great travel writing is all about evoking an atmosphere of adventure” and Halliburton certainly does that with his undiminished enthusiasm for seeking the world’s wonders and conveying his genuine delight at what he is doing.